We are blessed with many bright, enthusiastic children, and with many passionate, loving adults working together to nurture our youth. Next Saturday, November 21st, we’re celebrating Thanksgiving by giving frozen turkeys with all the fixings to families in our community. We need your help! On Fridays and Saturdays from 8:30 to 4:30, we hold an outdoor thrift shop in the courtyard in front of the church. Everyone is welcome to stop by; You can save money on clothing, jewelry, household items, and furnishings for low prices. You can also always donate your own old items to the thrift shop. On August 1st we will have a clearance thrift shop and bake sale in the court yard. At the international bake sale, sample different cakes and breads from different cultures and different parts of the world. Again, everyone is welcome to come. On August 1st, we will have a rollerskating trip to the rink at Riverbank State Park to celebrate the youth ministry. If you have kids that already enjoy or want to try skating, this is a fun opportunity. Everyone is welcome, whether or not you are members of the church. The church is paying, so everything is free. This reflection on this Sunday’s gospel, John 20:19-31, comes to us from Congregación Luterana San Pedro y San Pablo in Costa Rica and was shared on their Facebook page. What Is the Spirit Calling Us To? In these days of prayer, meditation and discernment about the future directions of our life together in Christ, the Spirit of God is active amongst us. What then are your prophesies, visions and dreams for our future that have been laid upon you in our conversation as a community, and upon your own reflections? We hope that you will use this space to place them. For those of you who are seeing this that know of our congregation and its ministry in Norwood but are not members or worshipers, what would you lift up for us to consider as we plan for the future of ministry in this place? May God bless and keep us as we move forward in His name to serve the world that He loves. Today we welcomed the season of preparation with a handmade Advent Calendar project. Click here for more pictures! Mark your calendar for a Christmas Concert and Carol Sing Along at the church, Sunday, December 14th at 4:30 PM. The Epiphany choir will join members of the choirs of Good News Christian Church and St. Andrews Episcopal Church to perform a concert of hymns and carols, with community participation. More details to come. This year, Epiphany is planning a Thanksgiving dinner for the community. Dinner will be from 11 to 2 on Thursday, November 27, in the church basement. We expect about 200 guests, so lots of volunteers are needed! Invite your friends and neighbors to attend or to volunteer. If you’d like to help, email Pastor McFarland or call 718-652-6839. With everyone back from summer vacations and heat-induced languor, things have been picking up at Epiphany. At our Rally Day and Backpack Blessing, the kids received school supplies and blessings for a successful school year. This Saturday, October 4th, from 10:00 to 2:00 at the church, all children in the community are invited to register for the Fordham tutoring program. We will also continue our Voter Registration Drive in preparation for the upcoming election, every Saturday through October 17th. At 9:30 on Saturday, members will travel to Wilkens Fruit Farm in Westchester for apple picking, hayrides, and a picnic lunch. 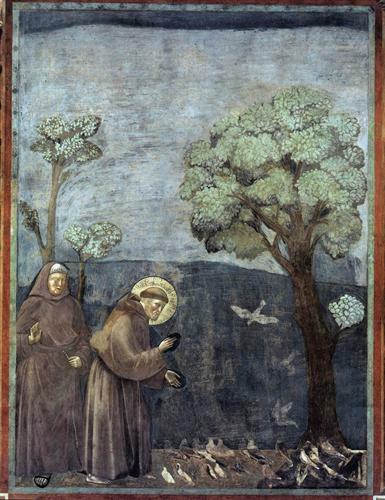 On Sunday, October 5th at 3:00, there will be a Blessing of the Animals in honor of the feast of St. Francis. All are invited to attend and to bring their animal friends. For more information on these events, contact Pastor McFarland. Join us in FDR State Park this Saturday, June 21, for an all-ages retreat, as we explore how our spiritual gifts can build up the community. Our spiritual exploration will be followed by a picnic, with plenty of time for games and swimming for the kids. Transportation will be provided, but please contact Pastor McFarland to let us know you are coming.